Dr. Canton has held a academic appointments at Singularity University at NASA, the Kellogg School of Management, MIT’s Media Lab, Europe, the Potomac Institute, and served on the International Advisory Council, Economic Development Board for the State Singapore, been an advisor to the National Science and Technology Council, US Departments of State, Defense and Health and Human Services. Smarter, faster, leaner business is coming led by IT. A transformation in IT is coming fast. The next generation of business services will be shaped by Cloud Computing and Big Data Analytics. Find out how to use these two massive innovations to establish a competitive advantage in your organization and what’s next for business and IT. Learn about integrating your mobile, social media, customer service management and business process transformation to this key trend. Learn how to turn your info into powerful innovative knowledge about customers, employees and competitors from using smarter IT strategies based on this trend. Find out how to mine your digital exhaust and monetize info to make it intelligence and power to compete and create results faster. An explosion of app's, devices, platforms and media are transforming business, markets and society. Mobility is transforming business. But what are the implications for your business? The mobile web is transforming the enterprise; how we touch and transact with customers; how we interact with partners and with employees. How will mobile and social play out? Find out what's next and what the top trends for mobility will be this year. Leadership is being redefined in a real-time economy where challenges from technology, the workforce, customers, and the competition are changing the very nature of organizations. Welcome to the New Future. The 21st Century Leader keynote is about how to become an agile, innovative, Future-Ready leader who can shape the destiny of the organization. Learn how to develop the Future-Ready Leadership Strategy, to anticipate the business-critical trends that will shape tomorrow. Find out what the Four Change Leadership Styles are so you can develop an effective and powerful leadership style. Discover what are the Future-Ready Competencies every leader must embrace now, to navigate future change. This keynote presentation provides the essential information, trends and key strategies that every leader must know about today to successfully prepare for—and prosper in the future. The global innovation economy is the central driver of business change in this century. This keynote is a sweeping overview of the top innovations and technologies that will transform the future—many that are emerging now. Based on his CNN special and book, Dr. Canton identifies the top innovations–from the Internet 3.0 to next generation genomics, virtual reality media, anywhere wireless, longevity medicine, quantum computing and nanotech to robotics that will drive future change in business and society. This keynote is an entertaining overview about the future of innovation what is coming fast—and how you can prepare for the extreme change. Advanced new telecommunications such as the Internet are rapidly reshaping business, markets and customers. But this is just the beginning of a more dramatic shift in markets, customers and the industry brought on by technology. Fluid markets, price elasticity, real-time anywhere communications, global digital networks will reshape financial services. This multimedia-enhanced keynote examines the key trends, strategies and technologies that will revolutionize financial services. 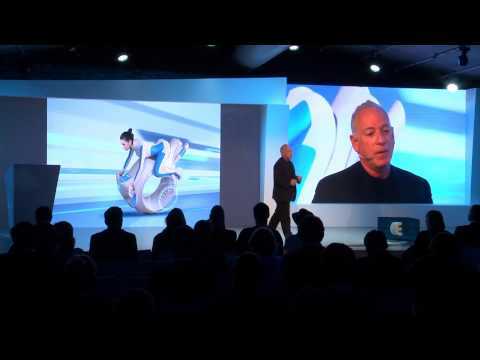 This keynote explains what will happen when and how to thrive with these high tech changes. The digital convergence of fast networks, smart computers and integrated knowledge devices will create a new purchasing landscape. How will the financial service organization of the future integrate the Internet, call centers and the new communications devices to create more effective customer service? What will be the demands of the financial services customer and how can organizations plan today to prepare? The emergence of the Internet as a virtual electronic channel for managing financial services offers many challenges and opportunities for organizations.. As the convergence of computers and telecom networks reshapes the marketplace of the future, technology will become a competitive advantage offering many cost-effective solutions. Digital cash, interactive TV, satellites, genomics, biotech, wireless super phones, intelligent agents, knowledge engineering are all key technologies that will drive future opportunity. A review of the best of breed customer companies and technologies will be highlighted. Find out from a leading futurist and CNN Guest Host what are the key strategies that will give your organization the competitive edge to help win in the 21st century. The recent terrorist attacks on America have clearly sent a violent wakeup call to the nation, and the world. The security of all Americans is at stake as we enter a new era at the dawn of the 21st century. Security, up until the historic turning point in NY City, was a concern of too few and not taken as seriously as it should have been. Many believe that the next security threats we will face will be economic terrorism targeting the enterprise. What are the new realities and new challenges we will face? Dr. Canton will review the future of security covering: encryption, firewalls, Internet viruses, wireless, Denial of service, cyber hackers, biometrics, surveillance, genomic security, data protection, customer theft, profiling the cyber terrorist, identity theft, case studies about industrial espionage and information warfare. Dr. Canton will review the most current information on the latest strategies, developments and technologies that will affect security in the future. Adopting the right culture and mindset that is security-savvy will be mission-critical for every member of every organization. Everyone will leave this keynote with an enhanced sense of awareness about how to take more control of his or her future. Are you future ready? This is a sweeping overview of the top trends that will shape the future marketplace and society over the next 5-20 years. From energy, space, climate, tech to health, education and geopolitics this is the most popular keynote based on Dr. Canton's new book Future Smart. This keynote maps the essential exponential innovations that will shape the economy, business and society. Find out what's next for the future of robotics, digital, big data, mobile, AI, biotech to the blockchain to security that will shape our world. Are you ready for AI economy? Artificial intelligence is fast reshaping business and culture. Machine learning, machine intelligence, neural networks. The rise of thinking machines, from robots to virtual bots is creating new jobs and changing how companies compete. We are fast embracing a world where AI may become smarter then humans sooner then we think. How do leading innovators think? As a former Apple executive who worked on the original Mac team there are lessons that can be applied to every organization. Find out about the Innovator's Mindset that can enable smarter, more agile and more innovative cultures, organizations and leadership. The Top Trends That Will Shape the 21st Century Based on Dr. Canton’s acclaimed new book, The Extreme Future, this informative keynote provides a strategic overview of the top trends that will shape the future of business and society. Constantly updated with fresh research and forecasts, this keynote is a strategic briefing on what disruptions and opportunities are coming fast that will impact your world. Future trends covered include: Climate, energy, technology, the workforce, security, the economy, health care, demographics, entertainment, and lifestyles. Find out what’s next and how to prepare today via this overview of the most recent forecasts that will shape the future marketplace, society and your life. Will you be ready to navigate the changes in the Extreme Future? Welcome to the Extreme Future where complex and disruptive change is coming fast. Are you ready to navigate the changes of the future? Are you ready for the Post-Genomic society? Where people trade their DNA on eBay? Where corporations conduct talent wars? Where health enhancement is a trillion dollar market? Where virtual supply chains and on-demand products rule? Where real-time collaborative organizations thrive? The 21st century will be driven by lightening fast, complex and disruptive changes that will re-define risk and opportunity for every business, government and individual worldwide. Will you be prepared? This keynote will help you better manage change in the Extreme Future. The unique understanding of the next convergent forces in technology, the workforce, security, the economy, life sciences, demographics, entertainment, environment and lifestyles will together shape the future. 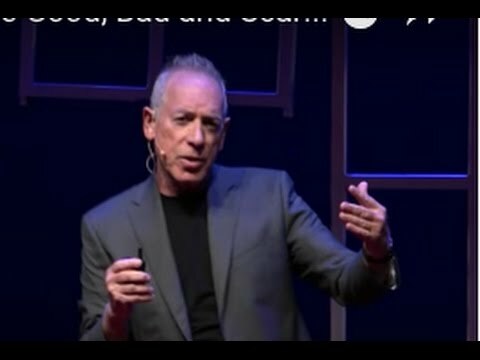 This presentation by a noted futurist and author provides a strategic overview of the top changes that will shape tomorrow’s leaders, business and the economy. Discover what future-readiness strategies you can use to achieve success in the Extreme Future.